Among the well-known Puritans is Richard Baxter (1615-1691). To refresh the memory of the weak and strengthen the memory of diligent, a Puritan is one who desired to purify the Church of England from corrupt doctrine and bad practice based on men’s fancies instead of the Word of God. Puritans were known as non-conformists to the demands of the Church of England which, in and over against the Word of God, desired the clergy to partake in non-essential and “popish” rites which faithful ministers desired to reject. These good Puritans desired to draw the church back to the Bible. Of the Puritans there are many who stand out readily. John Owen (1616-1683) is known for his voluminous work on Hebrews and his theological treatises on the atonement of Christ. Thomas Manton (1620-1677) is well known for his work on Temptation. Thomas Goodwin’s (1600-1680) devotional work on justification is exemplary. William Spurstowe (1605-1666) Among such great men are some of my favorites like Anthony Burgess (1600-1663), Christopher Love (1618-1651), Cornelius Burges (1589–1665), Daniel Cawdrey (Cawdry) (1588–1664), Edmund Calamy (1600-1666), Francis Taylor (1589–1656), Francis Turretin (1623-1687), George Gillespie (1613-1648), George Walker (1581-1651), Henry Smith (1560-1601), James Ussher (1581–1656), Jeremiah Burroughs (1599-1646), John Arrowsmith (1602-1659), John Owen (1616-1683), Joseph Symonds (d.1652), Lewis Bayly (1575-1631), Nathaniel Vincent (1639-1697), Nicholas Byfield (1579-1622), Obadiah Sedgwick (1600-1658), Samuel Ward (1577-1640), Simeon Ashe (d.1662), Thomas Doolittle (1630-1707), Thomas Watson (1620-1686), William Ames (1576-1633), William Perkins (1558-1602), and William Spurstowe (1605-1666). They are a wealth of knowledge. However, though Richard Baxter was not a very good “theologian” (doing great injustices to the doctrine of the atonement and of justification) he is very well known for his work surrounding practical theology and pastoring. This earns him the right to be called a non-conformist, but not a good theological guide in systematic theology. Richard Baxter was born on November 12, 1615, in Rowton, Shropshire, England and died on December 8, 1691, in London. He was known as a peacemaker who sought unity among the “clashing” Protestant denominations, and was at the center of nearly every major controversy in England during his lifetime. He was first ordained into the Church of England in 1638 after studying divinity but was later persecuted for his views for more than 20 years. After a trial conducted with great brutality by Judge Jeffreys, he was imprisoned for 18 months on the charge of having libeled the Church of England in his Paraphrase of the New Testament, (1685). After his conversion, he began his ministry at Kidderminster in 1641. Such a town needed the Gospel. It was filled with whores, drunkards and the volatile. After his ministry there for nearly 20 years, the sound of psalm singing, praying and bible study echoed through the streets on the Lord’s Day from the houses previously filled with those were previously degenerated; the Lord had worked mightily among them converting many in the town. He sided with parliament when the civil war broke out in England and served from 1645 to 1647 as a chaplain in Oliver Cromwell’s army, where he urged moderation in both religious and political opinions. At the Restoration, Baxter was chosen by Charles II to serve as one of the royal chaplains. He declined an offer of the bishopric of Hereford, and with the passage of the Act of Uniformity (1662) he left the Church of England. He took a leading part at the Savoy Conference (1661), where he tried to provide means that would permit moderate dissenters to stay in the Church of England (rubbing shoulders with men like Manton and Owen). But, because of his confused soteriology (something one cannot get wrong as a minister), Baxter’s practical writings are most valued today. His most important works are his Saint’s Everlasting Rest, Christian Directory, and The Reformed Pastor. In this short evaluation ministers can “taste” what it means to be a good pastor. The importance of Pastoral Theology for a minister cannot be understated. Without good preachers in the pulpits, the people in the pews will suffer in their spiritual walk. 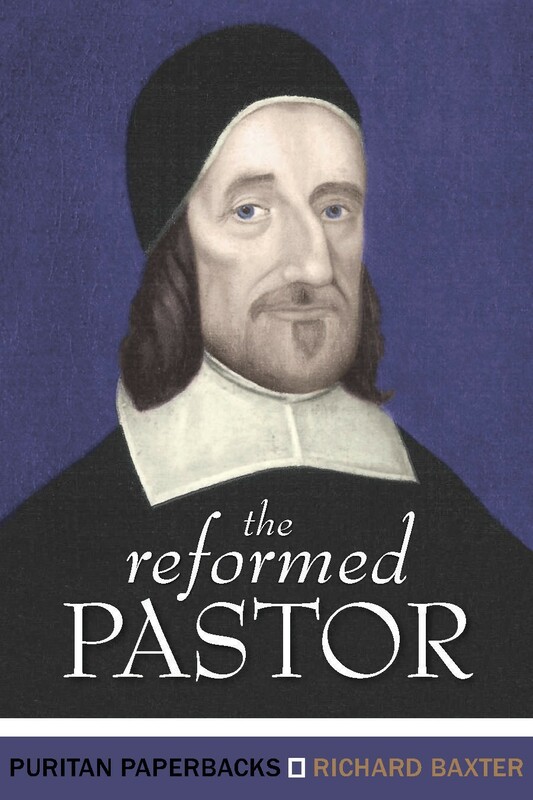 Scholars should occupy the pulpits today, imitating the dictum of Calvin, “I am a good theologian that I may be a good pastor.” Richard Baxter, in his Reformed Pastor, helps those in need of practical guidance to Pastoral Theology in this way. It is a helpful and practical guide stemming from Acts 20:28, “Take heed therefore unto yourselves, and to all the flock, over the which the Holy Ghost hath made you overseers, to feed the church of God, which he hath purchased with his own blood.” And this particular work cannot be underestimated. Great men through the history of the church, since it was written, have been greatly helped by it. The famous Baptist minister, Charles Spurgeon, had his wife read this book to him every Sunday evening, and John Angell James, an English nonconformist minister, read it weekly as well. Before commencing this brief overview of the book, two things are to be said. First, though pastors have a reason to read it, should laymen read it as well? Absolutely. You might ask, “Why should I study this if I am not a pastor?” One may wonder why a laymen, then would read 1 Timothy 3 and Titus 1 if they are not a pastor or deacon? Those questions deal with pastoral concerns, but they edify the laymen as well as edify those who are in ministry. Rather, in reading such a good work on Pastoral Theology, and knowing what a good pastor should be doing, laymen would know how to distinguish a good pastor from a bad one. In fact, “a bad pastor” is no pastor at all, and the bad pastor is not going to know he is bad – so the laymen needs to know what a good pastor looks like so that they are not “duped” by wolf in sheep’s clothing. Secondly, the references used in this paper in citing pages where quotes can be found refer to the smaller work, or condensed version, of this work in the Banner of Truth edition of “The Reformed Pastor.” It is in a handy 250-page book in the Puritan Paperback series. The text in which Baxter commences this practical work is Acts 20:28. Baxter says, “Let us set before us the pattern in our text, and learn thence our duty. O what a lesson is here before us! But how ill is it learned by those who still question whether these things be their duty! I confess, some of these words of Paul have been so often presented before my eyes, and impressed upon my conscience, that I have been much convinced by them of my duty and my neglect. And I think this one speech better deserveth a twelvemonth’s study, than most things that young students spend their time upon. O brethren! write it on your study doors – set it in capital letters as your copy, that it may be ever before your eyes. Could we but well learn two or three lines of it, what preachers should we be!” In this way, his thought process on this text is broken down in the following manner: 1) Our general business – Serving the Lord with all humility of mind and with many tears, (Acts 20:19). 2) Our special work – Take heed to yourselves and to all the flock, (Acts 20:28). 3) Our doctrine – Repentance toward God and faith toward our Lord Jesus Christ, (Acts 20:21). 4) The place and manner of teaching – I have taught you publicly and from house to house, (Acts 20:20). 5) His diligence, earnestness, and affection – I ceased not to warn every one night and day with tears. This is that which must win souls, and preserve them. (Acts 20:31), 6) His faithfulness – I kept back nothing that was profitable unto you, and have not shunned to declare unto you all the counsel of God, (Acts 20:27). 7) His disinterestedness and self-denial for the sake of the gospel – I have coveted no man’s silver or gold or apparel: yea these hands have ministered unto my necessities and to them that were with me remembering the words of the lord Jesus, how he said, it is more blessed to give than to receive, (Acts 20:33). 8) His patience and perseverance – None of these things move me neither count I my life dear unto me, so that I might finish my course with joy, and the ministry which I have received of the Lord Jesus, (Acts 20:24). 9) His prayerfulness – I commend you to God and to the word of his grace which is able to build you up, and to give you an inheritance among all them which are sanctified, (Acts 20:32). 10) His purity of conscience – Wherefore I take you to record this day that I am pure from the blood of all men, (Acts 20:26). While Baxter begins to expound the text, we should be aware that the verse in which he most concentrates on is Acts 20:28. The word to “take heed,” is a verb in the imperfect present active tense. That means it may be translated like this, “take heed right now and then continue to take heed, always taking heed so long as you live and have oversight of the flock.” “Taking heed” in this case is expressed alongside of the dative reflexive pronoun “of yourself” and means that “you” (the overseer) should “pay close attention to” the flock. This is the word that stirs Baxter’s soul. It will yield 450 pages of small type in double column pages in exhorting pastors to “take heed of the flock of God” in its original version. The first directive that Baxter gives is that pastors should always be in personal examination. “That personal conference, and examination, and instruction, hath many excellent advantages for their good, is no less beyond dispute.” This kind of personal examination is “recommended to us by Scripture, and by the practice of the servants of Christ, and approved by the godly of all ages, is, so far as I can find, without contradiction.” If the minister of the Gospel does not a firm grasp of his own strengths and weaknesses, how will he possibly be able to minister to others and point them out in them, when he cannot do it for himself? After stating this introductory plea that such an oversight should take place, Baxter then quickly extinguishes the excuse, “Our people are not ready for it; they will not bear it.” Such excuses are simply that – excuses. The minister should be ready to gently, biblically and constantly offer the oversight needed to teach people the Word of God that they may grow by it. Think about this for a moment: would Satan be persuaded by one of his servants? Can a kingdom divided against itself stand? “Do you think it is a likely thing, that he will fight against Satan with all his might, who is himself a servant to Satan?” Not at all. Ministers who are not ministers, who are not converted Christians, are servants of Satan and bound, in varied ways, to serve the Devil in the pulpits. These kinds of men are not going to tell you they are servants of Satan, and for the most part will not know it themselves. How then can the Christian overcome such men – they should be able to tell a good minister from a false teacher! In contrast to unsaved and ill fit ministers, there are the truly appointed pastors over the flock. Baxter does not simply commend these men in their vocation and calling, but takes the rest of the book to exhort them to a proper practice in their role as overseer of the flock. He begins this with a lively faith. “Content not yourselves with being in a state of grace, but be also careful that your graces are kept in vigorous and lively exercise, and that you preach to yourselves the sermons which you study, before you preach them to others.” It is not enough that ministers are saved Christians. They should be Christians filled with grace, and then continues stirring up of that grace to receive more grace and thus exemplify a lively faith. Baxter says, “Take heed to yourselves, lest your example contradict your doctrine, and lest you lay such stumbling-blocks before the blind, as may be the occasion of their ruin.” He also asserts, “Take heed to yourselves, lest you live in those sins which you preach against in others, and lest you be guilty of that which daily you condemn.” The life of the minister is like a sermon, a living sermon, that people watch and mimic as they see fit. If ministers lead people down the road of filthy lifestyles, then the minister has been the occasion of stumbling for them. Baxter presses hard on the need to ordain qualified for ministers. Better to have one minister who is qualified than ten that are not qualified. He says, “Take heed to yourselves, that you want not the qualifications necessary for your work. He must not be himself a babe in knowledge, that will teach men all those mysterious things which must be known in order to salvation. Such is the case where Paul refers to the minister as “not a novice.” (1 Timothy 3) Such novices, by their inexperience damage the chosen people of God and, “fall into the snare of the devil.” They will be a hurt, not a help, to the people of God. Now, it is not simply the need to sermonize one’s life as a minister before the people, but pastors should be feeding the flock with the Word of God in their well thought out, well-studied sermons. A good standard for a minister is that for every minute they preach or teach, they should study one hour. This often proves to be very helpful, for sermon preparation is the most difficult of tasks if one is going to devise a real sermon worth its time to “herald” on behalf of God to the people. Though Baxter does not believe sermonizing is the hardest part of ministering, he does say this: “To preach a sermon, I think, is not the hardest part; and yet what skill is necessary to make the truth plain; to convince the hearers, to let irresistible light in to their consciences, and to keep it there, and drive all home; to screw the truth into their minds, and work Christ into their affections; to meet every objection, and clearly to resolve it; to drive sinners to a stand, and make them see that there is no hope, but that they must unavoidably either be converted or condemned – and to do all this, as regards language and manner, as beseems our work, and yet as is most suitable to the capacities of our hearers.” The minister, then, has a job ahead of him each time he pieces together the sermon. He exegetes the text, checks his work, creates an outline, pulls a doctrine or two from the text, and then applies it. This was a typical structure for preaching in the time of the Reformation, and in his day. Applying the sermon is often the most difficult of tasks. How does a minister reach both the weak and strong minded in the same sermon to feed the flock week after week? How does he reach the children who are not attentive, as well as the studied scholar who may be sitting in the front row? “Jesus loves you,” is not enough! On this note alone, most lecturers who think they are preaching, should get out of the pulpit and into the pew. They either lecture, without any experimental application, or they try to “tack on” an application at the end that simply point to Jesus in some way, without ever really thinking through how a text is to be conscientiously applied to the local body of believers. They tend to try and get their thoughts out of their own head at the end, and generally fumble on this point, where they should be preaching a sermon to get it into the minds of the hearers. What should be the, “Motives to the Oversight?” Temptation for ministers abound. Strike the under shepherd of a church and the flock he is overseeing will feel the blow of the devil’s rod. Since this is the case, Baxter first says, “Take heed to yourselves, for you have a heaven to win or lose, and souls that must be happy or miserable for ever; and therefore it concerneth you to begin at home, and to take heed to yourselves as well as to others.” The motivation should be of eternal consequence, not temporary gain. And in such a fight, the minister is the first to win or lose heaven. “Take heed to yourselves, because the tempter will more ply you with his temptations than other men.” What disasters open scandal brings for a minister when he sins and falls in the eyes of God and the people? It is something done far too often today. Baxter warns the minister, “Take heed to yourselves, because there are many eyes upon you, and there will be many to observe your falls. You cannot miscarry but the world will ring of it.” That is correct – the world will not ring loudly of the good you have done, but it is certainly going to ring of the scandalous sin that you fall into. That is where the minister must be reminded of his lifestyle and walk. “All that a minister doth, is a kind of preaching.” The sermonized life that was mentioned earlier now shows up in full bloom. Baxter explains, “When we have led them to the living waters, if we muddy it by our filthy lives, we may lose our labor, and they be never the better.” Thus, Baxter places the motivation for the oversight in the manner of winning people for the better for the Kingdom of God. There are certain kinds of people that ministers are to give heed to; special consideration over certain types of people. First, Baxter says, “We must labor, in a special manner, for the conversion of the unconverted.” Second, “We must study to build up those who are already truly converted. In this respect our work is various, according to the various states of Christians.” Third, “There are many of our flock that are young and weak, who, though they are of long standing, are yet of small proficiency or strength. This, indeed, is the most common condition of the godly. Most of them content themselves with low degrees of grace, and it is no easy matter to get them higher. To bring them to higher and stricter opinions is easy, that is, to bring them from the truth into error, on the right hand as well as on’ the left; but to increase their knowledge and gifts is not easy, and to increase their graces is the hardest of all.” Fourth, “Another class who demand special help are declining Christians, that are either fallen into some scandalous sin, or else abate their zeal and diligence, and show that they have lost their former love.” Fifth, “The last class whom I shall here notice, as requiring our attention, are the strong; for they, also, have need of our assistance: partly to preserve the grace they have; partly to help them in making further progress; and partly to direct them in improving their strength for the service of Christ, and the assistance of their brethren; and, also, to encourage them to persevere, that they may receive the crown.” In all of these I find that the increasing the grace of the weak or assimilating the strong to use their gifts is often the “great task” of the minister. This takes far more biblical savvy than simply “assimilating” them into the flock by an easy one, two, three step process as many modern churches do in running their church like a corporation. Baxter does not stop at these types above, but also includes two more areas where ministers should have special concerns, “We must have a special eye upon families, to see that they are well ordered, and the duties of each relation performed.” If a minister is able to help order a wayward family, how wonderful are the fruits in the midst of the entire congregation may this be! Baxter says ministers should get information on how the family is ordered. Then they are to go occasionally among them in order to persuade them to study their own wants (prayer, reading, meditation, etc.). They are to be sure they have useful books as well as the Bible to study. And they are to direct them on how to spend the Lord’s Day. After 20 years in Kidderminster, again, Baxter was said to walk down the streets of the town and listen to prayers, psalm singing and the teaching of the word by the families for the Lord’s Day. Also, “we must be diligent in visiting the sick, and helping them to prepare either for a fruitful life, or a happy death.” This is such a test for a good minister. How should a minister help the sick be fruitful for life or ready themselves for a happy death? What would you say a minister should do in these cases? If you are a ministers asking these question and do not know the answer to them, then get to studying! Baxter finally says in this section, “the last part of our oversight, which I shall notice, consisteth in the exercise of Church discipline. This consisteth, after the aforesaid private reproofs, in more public reproof, combined with exhortation to repentance, in prayer for the offender, in restoring the penitent, and in excluding and avoiding the impenitent.” Ministers are always engaged in church discipline, either corrective or preventative. Preventative discipline is any teaching to help the saints be edified and the sinner be converted. It is this help along the way that guides them to follow the Lord in righteousness. Corrective discipline is when formal discipline of a wayward member takes place. Sometimes this ends in excommunicating a covenanted member of the church. Sermons are then seen in a proper light. “The ministerial work must be carried on prudently and orderly. Milk must go before strong meat; the foundation must be laid before we attempt to raise the superstructure. Children must not be dealt with as men of full stature. Men must be brought into a state of grace, before we can expect from them the works of grace. The work of conversion, and repentance from dead works, and faith in Christ, must be first and frequently and thoroughly taught. We must not ordinarily go beyond the capacities of our people, nor teach them the perfection, that have not learned the first principles of religion.” Such is the teaching of all good ministers of the Word. “All our teaching must be as plain and simple as possible…it is no easy matter to speak so plainly, that the most ignorant may understand us; and so seriously that the deadest hearts may feel us; and so convincingly, that the contradicting cavillers may be silenced. The weight of our matter condemneth coldness and sleepy dullness. We should see that we be well awakened ourselves, and our spirits in such a plight as may make us fit to awaken others. If our words be not sharpened, and pierce not as nails, they will hardly be felt by stony hearts. To speak slightly and coldly of heavenly things is nearly as bad as to say nothing of them at all.” Better to keep your mouth shut than give a hurried, boring or ill-studied sermon. And yet all this teaching is to be done in a certain light – in love. “The whole of our ministry must be carried on in tender love to our people.” Without love, all the study in the world will get you nowhere with the flock of God. They will never respect you, never love you, and never find the love of God to them through you. What are the, “Motives of the Oversight of the Flock?” Baxter writes one of the best paragraphs to describe such a question, “Oh, then, let us hear these arguments of Christ, whenever we feel ourselves grow dull and careless: ‘Did I die for these souls, and wilt not thou look after them? Were they worth my blood, and are they not worth thy labor? Did I come down from heaven to earth, “to seek and to save that which was lost;” and wilt thou not go to the next door, or street, or village, to seek them? How small is thy condescension and labor compared to mine! I debased myself to this, but it is thy honor to be so employed. Have I done and suffered so much for their salvation, and was I willing to make thee a fellow-worker with me, and wilt thou refuse to do that little which lieth upon thy hands? Every time we look upon our congregations, let us believingly remember that they are the purchase of Christ’s blood, and therefore should be regarded by us with the deepest interest and the most tender affection. Oh, think what a confusion it will be to a negligent minister, at the last day, to have this blood of the Son of God pleaded against him; and for Christ to say, ‘It was the purchase of my blood of which thou didst make so light, and dost thou think to be saved by it thyself? ’ O brethren, seeing Christ will bring his blood to plead with us, let it plead us to our duty, lest it plead us to damnation.” No other comment needed here! One of the most important and most neglected aspects of preaching, both in Baxter’s day and in our own is the application of the sermon. There are many preachers who think, “Let the Holy Spirit do the work of “application.”” I have never read through the Bible to find one instance, at any point, of a sermon given by Christ or his apostles that did not have application attached to it. That is what made their preaching so effective, humanly speaking. To ministers today, Baxter keenly states, “Satan will not be charmed out of his possession.” Are you going to charm the devil out of his possessions with smart talk and witty jokes? Do you think charming homilies will rescue people from hell? If the word is preached, it should be preached in power and authority. Baxter says, “If we were heartily devoted to our work, it would be done more vigorously, and more seriously, than it is by the most of us. How few ministers do preach with all their might, or speak about everlasting joys and everlasting torments in such a manner as may make men believe that they are in good earnest! It would make a man’s heart ache, to see a company of dead, drowsy sinners sitting under a minister, and not hear a word that is likely to quicken or awaken them. Alas! we speak so drowsily and so softly, that sleepy sinners cannot hear. The blow falls so light that hard-hearted sinners cannot feel. The most of ministers will not so much as exert their voice, and stir up themselves to an earnest utterance. But if they do speak loud and earnestly, how few do answer it with weight and earnestness of matter! And yet without this, the voice doth little good; the people will esteem it but mere bawling, when the matter doth not correspond. It would grieve one to the heart to hear what excellent doctrine some ministers have in hand, while yet they let it die in their hands for want of close and lively application; what fit matter they have for convincing sinners, and how little they make of it; what good they might do if they would set it home, and yet they cannot or will not do it.” He goes on, “O sirs, how plainly, how closely, how earnestly, should we deliver a message of such moment as ours, when the everlasting life or everlasting death of our fellow-men is involved in it! Methinks we are in nothing so wanting as in this seriousness; yet is there nothing more unsuitable to such a business, than to be slight and dull. What! speak coldly for God, and for men’s salvation Can we believe that our people must be converted or condemned, and yet speak in a drowsy tone? In the name of God, brethren, labor to awaken your own hearts, before you go to the pulpit, that you may be fit to awaken the hearts of sinners. Remember they must be awakened or damned, and that a sleepy preacher will hardly awaken drowsy sinners. Though you give the holy things of God the highest praises in words, yet, if you do it coldly, you will seem by your manner to unsay what you said in the matter. It is a kind of contempt of great things, especially of so great things, to speak of them without much affection and fervency. The manner, as well as the words, must set them forth. If we are commanded, ‘Whatsoever thy hand findeth to do, do it with all thy might,’ then certainly such a work as preaching for men’s salvation should be done with all our might. But, alas, how few in number are such men! It is only here and there, even among good ministers, that we find one who has an earnest, persuasive, powerful way of speaking, that the people can feel him preach when they hear him.” Such is the case and the illustration Baxter uses is to the point in driving such a truth home, “A sermon full of mere words, how neatly soever it be composed, while it wants the light of evidence, and the life of zeal, is but an image or a well-dressed carcass.” Do you preach these carcasses as sermons you think will be helpful? Finally, Baxter moves through the necessity of, “catechizing,” the home. Catechizing aids believers and unbelievers become more aware of the fundamentals of the faith. Baxter writes, “It is about the most necessary things, the principles or essentials of the Christian faith.” However, it is often difficult to implement “memorization” techniques to families who are used to watching the Simpson’s on TV. But, the task of the minister, in taking heed of every one of his flock, is to teach them how to do this at home. “As to the manner of it: it will be by private conference, when we may have an opportunity to set all home to the conscience and the heart.” Baxter was sure to visit every family in the congregation once a year. His other ministers in the parish also took time to make their rounds as well. Such a oversight would be quarterly, or depending on the number of people, could be every other month (or more if God affords the possibility in it). Why does the minister want to do this for his people? Why should he help them to see the need for Catechizing? “It will essentially promote the orderly building up of those who are converted, and the establishment of them in the faith.” Also, “It will make our public preaching better understood and regarded.” It causes children to grow up with theological ideas attached to memory verses, not just memory verses in the abstract about “sin.” Such theological helps will be the better for children later on when they begin to think through that which their parents and ministers had them memorize. In conclusion, Baxter wrote, “Brethren, I hope you are content to be plainly dealt with. If you have no sense of the worth of souls, and of the preciousness of that blood which was shed for them, and of the glory to which they are going, and of the misery of which they are in danger, you are not Christians, and consequently are very unfit to be ministers.” Quite true. Ministers are 1 in a 1000. Are you one of them? Baxter in this way brings home his chief argument against ministers again – “I am, therefore, forced to say, that hence arises the chief misery of the Church, that so many are made ministers before they are Christians.” In wrestling with the Reformed Pastor, one cannot come away without asking the question “Should I be a minister?” Or even, “Should I remain as a minister?” Such soul searching reflection would be the better for the people of God. The Reformed Pastor, Page 42.